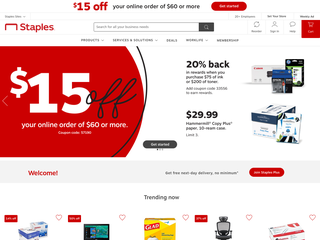 Staples - The supermarket for office products! If you are looking for office supplies, Staples is the place to be. Staples helps business customers make more happen by providing a broad assortment of products, expanded business services and easy ways to shop – in stores, online via mobile or through social apps.